Uhlsport Eliminator Supergrip UVP CHF 179.99 CHF 124.95 Sie sparen 31%! Uhlsport Eliminator Supergrip 360° Cut UVP CHF 119.99 CHF 83.95 Sie sparen 30%! Uhlsport Eliminator Aquasoft HN Windbreaker UVP CHF 89.99 CHF 62.95 Sie sparen 30%! Uhlsport Eliminator Absolutgrip RF UVP CHF 79.99 CHF 54.95 Sie sparen 31%! Uhlsport Eliminator Aquasoft RF UVP CHF 79.99 CHF 54.95 Sie sparen 31%! 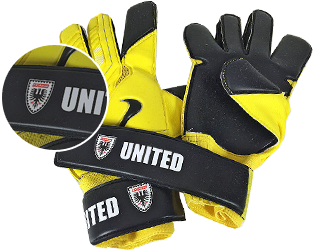 Uhlsport Eliminator Absolutgrip UVP CHF 69.99 CHF 49.95 Sie sparen 29%! Uhlsport Eliminator Supersoft RF UVP CHF 59.99 CHF 39.95 Sie sparen 33%! Uhlsport Eliminator Supersoft UVP CHF 59.99 CHF 39.95 Sie sparen 33%! Uhlsport Eliminator Soft HN Comp UVP CHF 49.99 CHF 34.95 Sie sparen 30%! Uhlsport Eliminator Soft SF UVP CHF 44.99 CHF 29.95 Sie sparen 33%! Uhlsport Eliminator Soft SF+ Junior UVP CHF 44.99 CHF 29.95 Sie sparen 33%! Uhlsport Eliminator Soft Pro UVP CHF 29.99 CHF 19.95 Sie sparen 33%!